Many people want to make your computer a point of access Wi-Fi. This allows him to connect other devices. Modern technologies allow to do this operation in a few minutes. However, the first is to set all the parameters to the system is allowed to perform the operation of connection. To create a point of access, it is necessary first of all to deal with the settings. Disable temporarily your anti-virus protection. Disable the Windows firewall. Check all settings. 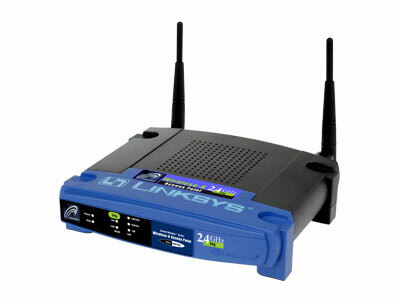 For example, you can use the device D-Link DSL-G604T. Connect it with a network card of the computer. D-Link DSL-G604T has the IP address “192.168.1.1”. Open the properties for the network connection of your computer and set the I-address that is different from the IP address “192.168.1.1”. Open Internet Explorer. Enter “http://192.168.1.1”. Enter the user name and password leave blank. Now set up the wireless network. Check that the DHCP server was enabled. The IP addresses of all come those which are established in the program by default. Put server address domain name DNS. Set the address of the primary DNS of your ISP. Click "Apply" to save the settings. Select “Wireless Setting”. You can now set the parameters of the wireless point of access. It is necessary to include a tick on the "Enable AP". Assign a non-obvious SSID network ID. Radio disable the SSID broadcast. Select the encryption method, for example, “WPA”. Click to save on "Apply". Insert the disc with the driver for the wireless network adapter. Install it on your computer. The DWL-G650+ insert into slot “CardBus”. Complete the driver installation. Go to properties of wireless connection. Set "Obtain an IP address automatically" and "Obtain DNS server address automatically". Click on the tab labeled "Wireless networks". Uncheck the option "use Windows to configure my wireless network". Setup the wireless adapter. This would require utility D-Link AirPlus G+ Wireless Adapter Utility". Enter the same SSID. In “Wireless Mode” set the value of "Infrastructure". Press "Apply". Set security and encryption. Back save settings. Many people want to make your laptop or PC, access point Wi-Fi to connect other devices to it. With the help of this article You will be able to set your laptop on Windows XP, Windows Vista, Windows 7. Below You will able to upload files with a description of how to configure and video setup for Windows 7. To create an access point, you need to: 1. To disable antivirus. WiFi or Wireless Fidelity (wireless fidelity) is a technology for wireless transmission of data through a special connection, Wireless LAN. Want to learn how to set up the WiFi on the laptop or PC in Windows? Read about setting up WiFi in our article, we will tell about the peculiarities of installation and connection, and also about setting up WiFi network. WiFi network is half-duplex, is caused by the technology itself. This feature means that the same frequency can operate only one device operating as an access point.